One of my latest ice cream obsession is Häagen-Dazs's Caramelized Pear & Toasted Pecan. I have become an instant fan,literally on the first lick. 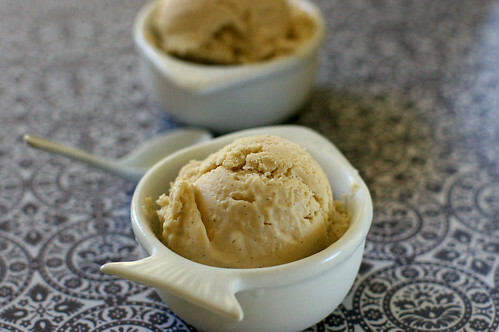 Little did I suspected that caramelized pear would taste so delicious in ice cream. No wonder it has won the Häagen-Dazs flavor search in 2007. I couldn't get enough of it, and even though the weather has cooled down considerably- indication of time to put my ice cream maker to rest until next summer, I find myself churning out a batch of roasted pear & vanilla bean frozen yogurt. I couldn't help it. My favorite Greek yogurt is on half price and the gorgeous pears have just graced the farmer's stand, surely this is a SIGN! Instead of caramelizing the pears, I choose to roast them along with the vanilla bean I found lying around. It was done while I was cooking dinner on a Sunday night. A few basting and 40 minutes later, before the season premiere of Desperate Housewives, the roasted pears were ready and left to cool at room temperature. On the brief advertisement break before Brothers and Sisters, I processed the roasted pears with one 17.6 oz container (2 cups) of Greek yogurt in the blender before churning the mixture in the ice cream maker. Although 1.5 cups of Greek yogurt might be a better ratio for the recipe, I was too lazy to measure that out. Plus I prefer my frozen yogurt on the tangy side. I think adding a tablespoon or two of honey may be a good idea if you like it sweeter. 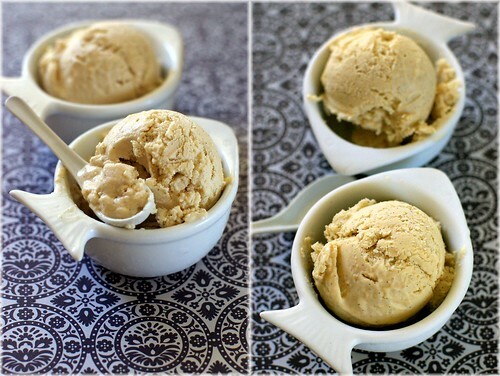 As with other icy dessert recipes, taste and adjust the sweetness according to your preference.Have total control and personalize- That's the beauty of homemade ice cream! Just remember to make it slightly sweeter than how you'd like it, as the chilling will dull the flavor later. I leave out the nuts because I don't have any on hand. And quite honestly, I am too lazy to roast and chop them, even if I have them handy. With the weather cooling down, my body is craving for soups, cookies and tarts. So watch out for those recipes in the coming months! Arrange the pears cut side up in an 8-inch square glass baking dish. Add the water into the dish and sprinkle sugar, butter and scraped vanilla bean on top of the pears. Bake until the pears are crisp-tender and beginning to brown, basting occasionally with the juices, about 35-40 minutes. Let cool on a cooling rack. When the baking dish has cool down,cover with saran wrap and place in the fridge to chill for at least half an hour, or up to a day. Using a blender, process the roasted pears, with its juice and the yogurt until smooth. Transfer to the freezer bowl of your ice cream machine and freeze according to the manufacturer’s instructions. Hagen Daz has a flavour I don't know about? I'm shocked! I usually try to keep up on such things. I guess dieting is bad for your keeping your dessert aisle knowledge current. Your ice cream looks sensational and those fishy bowls are pretty cute! bWish I had these right now..Looks cute in those cute bowls.. Cool way of recreating that Hagen Dasz flavour! I remember that contest. You know I never tasted that flavour? We don't have it here :( But my imagination tells me it's great, just like your dessert. I just love pear ice cream. Looks yummy! I love the way u used greek yogurt! The ice-cream must be really creamy without the heaviness in it? this looks delish! i'm not a big fan of the hagen daaz pear ice cream - i think it's too sweet and doesn't have enough walnuts. i like yours more. i made one last year where i poached the pears in white wine. that mellowed the sweetness a lot! these pictures are beautiful!! This ice cream looks absolutely delicious! I love roasted pear anything! Hmmm. I've never heard of that Haagen Daaz flavor. Will have to be on the hunt for it. But THIS recipe looks just WOW. Roasted Pears in fro yo? Sounds wonderful! Mandy, I love the simple recipe and especially the yummy results! I also love the tiny fish-shaped bowls. So cute. Beautiful blog! I love the pics of your frozen yogurt! 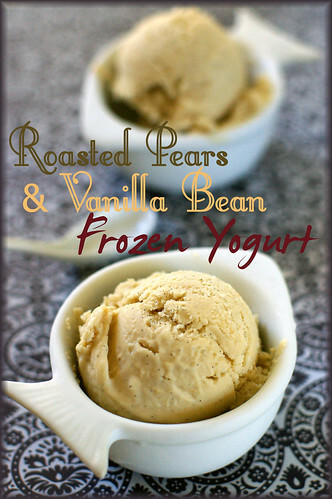 Roasted pear and vanilla frozen yogurt sounds so good! Great photos! Isn't Greek yogurt the nicest yogurt to use for frozen yogurt? This recipe could change my mind about pears! 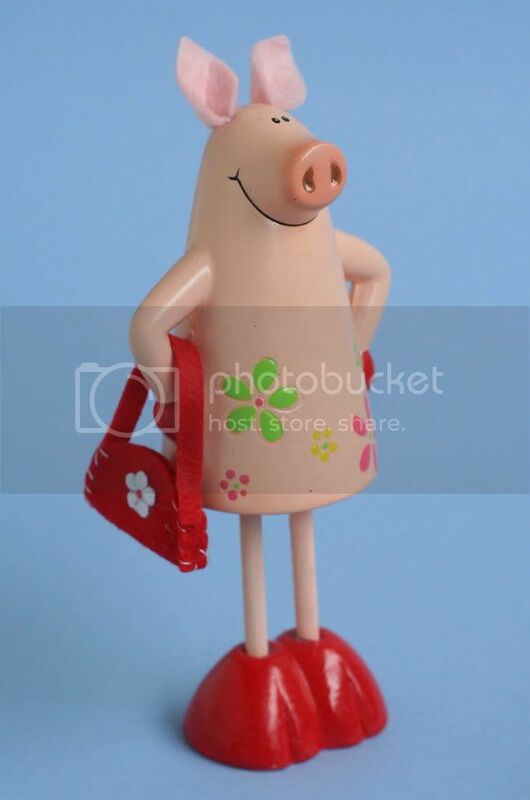 hi, passed u the brilliante weblog award. pls check on my site! Yummy looking yogurt and it seems quite easy to prepare! I'm gonna grab a tub of greek yogurt and try it out soon! Thank you for visiting my site. I am so pleased to have found this frozen yogurt, it looks gorgeous!!! I am sure yours is MUCH better! It looks divine! My husband is going to love this recipe. I haven't seen that flavor here in Japan but I live in the sticks. 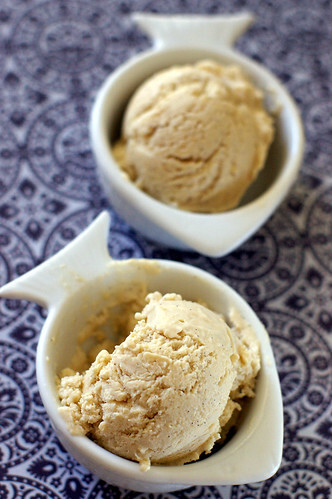 Caramelized Pear and Roasted Pecan is my absolute FAVOURITE flavour and I cannot find it anywhere anymore! I've been craving it for DAYS and eventually said I'd try and make it on my own! I'm not sure how it's going to turn out as it's in the machine as we speak, but I'm definitely going to try your recipe later!! !